Workplace accidents may result in catastrophic injuries. These are injuries that permanently change your life and necessitate your obtaining extra help with daily activities, making changes to your home to accommodate a disability, or seeing a doctor more frequently. 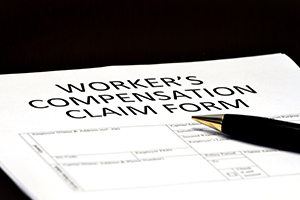 The workers' compensation system was designed to allow employees to recover benefits for their injuries without needing to prove fault. Nonetheless, it may be challenging to get the benefits that you need. At Pulgini & Norton, our Haverhill workers’ compensation lawyers can help you seek benefits after a workplace accident. Most Massachusetts employers that have employees who work over 16 hours in a single week must carry workers' compensation insurance. There is a strong presumption in favor of classifying workers as employees rather than independent contractors in this state. If you suffer injuries on the job and are uncertain about your job classification, you should contact an attorney to evaluate whether you may have been misclassified and may file a claim for benefits. Once you know that you were injured or rendered ill by a workplace condition, you should provide notice in writing to your employer. The notice should include when you suffered the injuries or developed the illness, the specifics of what happened, and witnesses to the event. If you do not report your injury or illness in a timely way, you may lose your ability to recover benefits. If you are unable to work for five partial or full days or need medical treatment, your employer should file an Employer's First Report of Injury or Fatality with its insurance carrier. The employer has seven days to do this. When an employee does not need to stay home from work for five or more days, the claim is purely medical and does not need to be reported to the Department of Industrial Accidents (DIA), which administers claims. However, the employer should still report it to its insurer. The amount of disability benefits to which you may be entitled depends on how much your average weekly wage has been and the extent of your disability. For example, if you suffer a permanent total disability due to paralysis, you may recover 60% of your average weekly wage and also get payments that incorporate a cost of living adjustment over the course of your life. In the case of a catastrophic injury or illness, you may also be entitled to permanent loss of function benefits. These are paid once, on top of disability benefits and medical bills, if you are no longer able to use a body part. If you are filing a workers' compensation claim after an accident or illness in a Haverhill workplace, you should consult an experienced job injury attorney. At Pulgini & Norton, our Haverhill workers’ compensation attorneys provide knowledgeable counsel to injured workers at every step of the claims process. Contact us at 781-843-2200 or through our online form for a consultation.